The Buzz : 2018 Kia Stinger is on Fiyah! Kia sports car? A legitimate sports sedan by Kia? Kia, say what? Kia? Car and Driver says: Back in 1964, the great Muhammad Ali famously taunted heavyweight-title opponent Sonny Liston, saying he’d “float like a butterfly, sting like a bee” in their upcoming match. 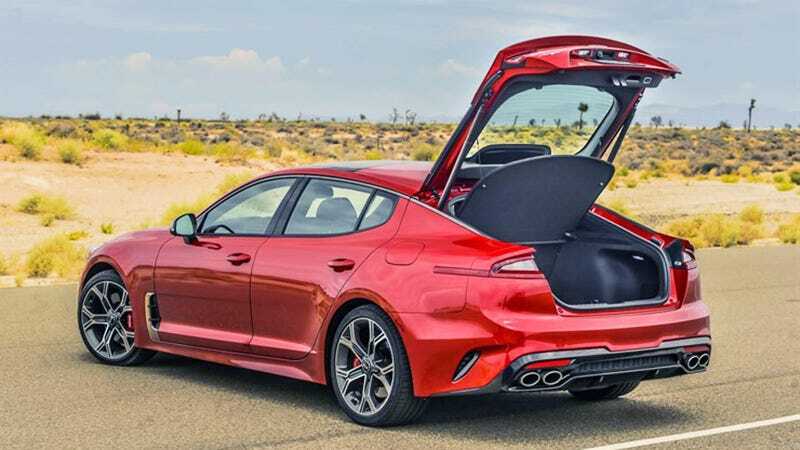 Our track testing revealed that the hottest Kia does indeed sting like a bee: 60 mph comes up in 4.6 seconds, it circulates the skidpad at 0.91 g, and it stops from 70 mph in 164 feet. Kia claims that the car’s top speed is governed at 167 mph. Those numbers match up well with larger, much more expensive performance sedans like some that competed in a recent comparison test , including the Audi A6 3.0T Competition and the Cadillac CTS V-Sport. Road and Track (Sept 2017) If you’re in the market for a 4-series Gran Coupe, you should check your brand prejudice and take this car seriously. BMW and Audi will, if they have any sense. Engineered by Albert Biermann (Former Vice President engineering of BMW’s famed “M” division). In 2016 Hyundai Motor Group (Hyundai, Kia, Genesis) became the third largest automaker in the world behind Toyota and Volkswagen. The Hyundai Motor Group isn’t just interested in making good basic cars, they are making a statement. They are assembling some of the best names in the industry. I Luc Donckerwolke who once was the Design Director for Vw’s Bentley, Lamborghini and Audi is now heading the new Genesis brand. The challenge for Kia is to convince someone who is in the market for a sports sedan, to drop 39K for a Kia. . 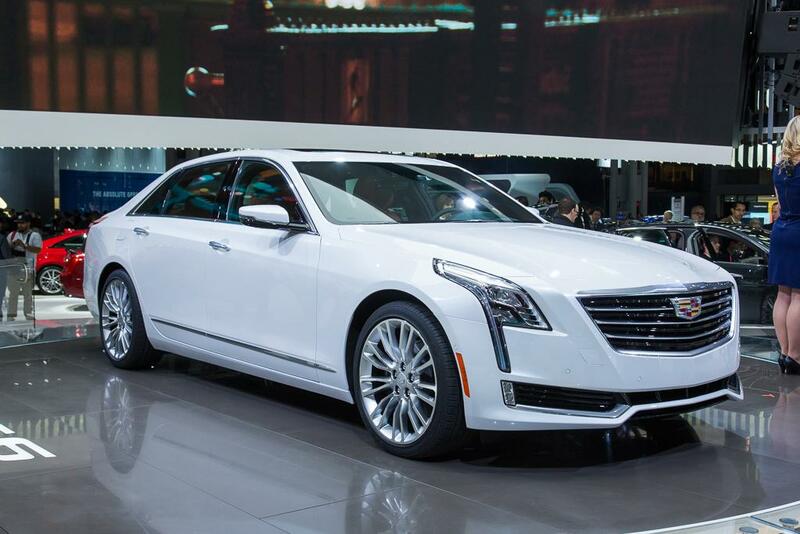 The automotive writers say, in the last few years Cadillac has been building some of the best cars on the market. American cars,,that will out handle and in many cases out run the best from Europe. But the public isn’t buying. So it may be a tough sell for Kia. For some its the pedigree, if it isn’t a Lexus or from Europe, it wont do ? But I’m that guy in the Charger Hellcat, in outrageous Red . I’d be sipping on my Slurpee at some traffic light in the Napa Valley. Smoking the best from Germany and even keeping up with a few $400k Supercars. Grey Poupon? No Frenches Dammit! If the pedigree isn’t important to you. Test drive the Stinger GT . It does have one thing the other don’t. A 10 year 100,000 mile warranty. Her 33 year old son in law (soon to be EX) told her daughter of the affair! Kathleen wants him to DIE! She blames him for ruining her relationship with her daughter and she is beyond mad! She drove to his Crestdale Street home and allegedly tossed several eggs at his residence and vehicles. When the Palm Beach Gardens police arrived, they saw Mommy in law driving in circles in the front yard of the house while attempting to hit her former lover with her Mercedes. I wanted to run him over and I wanted him to DIE!!! is what Kathleen told Police. Davis is facing a charge of aggravated assault with a deadly weapon without intent to kill and was released from the Palm Beach County Jail on Sept. 22 after posting a $3,000 bond. These are all lame, So will end here. Twenty Seven years ago a Japanese Company Toyota, entered the Luxury Car market to compete with the likes of BMW, Mercedes Benz and Cadillac . 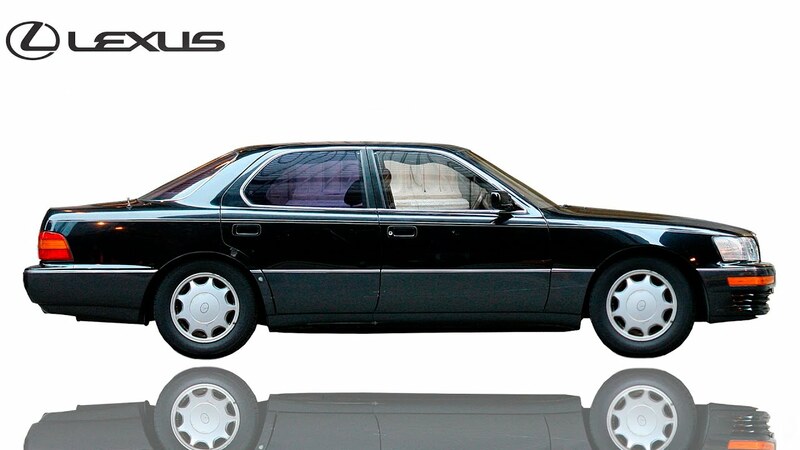 Their first model the Lexus LS400 was an instant hit and immediately established Lexus as a player. Within months Nissan and Honda entered the market. Today, Lexus and Acura are solid premium players. Hyundai entered the US market in 1985 offering ultra low priced cars the Excel. Americans quickly snapped them up. 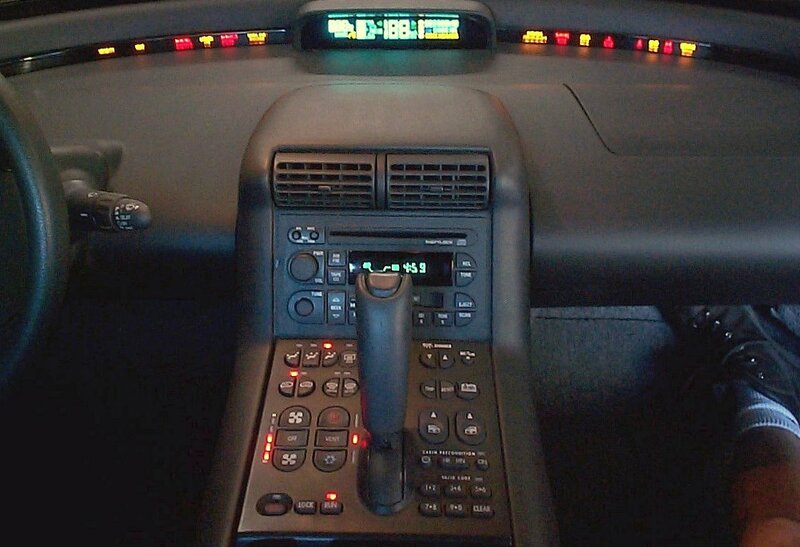 The quality of these cars was sup par, but that was so 1985. Today, the worlds fifth largest automaker quality ranks in the top 10. In 2009, Hyundai introduced the Genesis, it was Hyundai’s Flagship vehicle. It was the 2009 North American Car of the Year as well as the 2009 Canadian Car of the Year. Like the Lexus, many automotive journalist called the Genesis a solid effort and few thought it competed with the Mercedes and BMW, few. For some time there has been talk about Hyundai starting a Luxury Division. Last November Hyundai officially introduced Genesis Motors to the world. 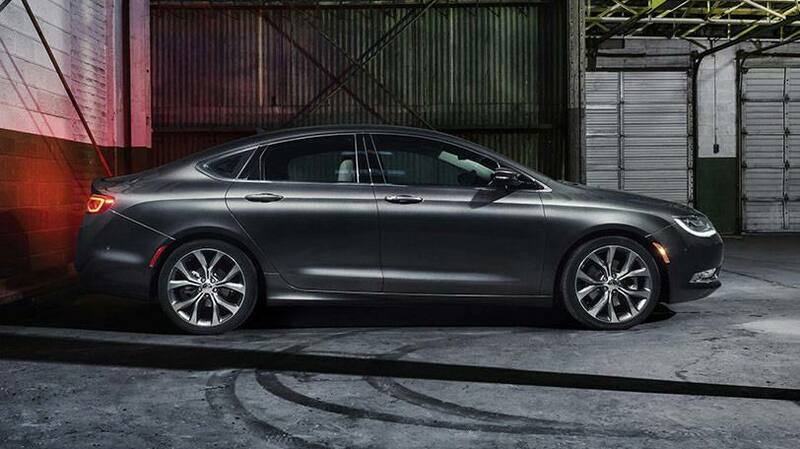 The Hyundai Genesis was renamed the G80 and is currently sold at Hyundai dealerships. 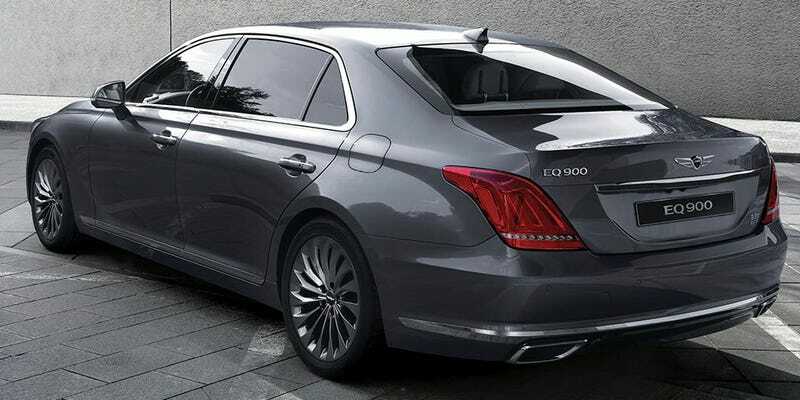 The flagship g90 is sold at select Hyundai dealerships. As of this writing the nearest g90 is in Antioch California. Plans for Genesis is very ambitious. Hyundai plans to have six Genesis models by 2020. A smaller (think BMW 3 series) sedan ,a sports coupe, and two SUVs . In the next few years there will be Genesis Stores nationwide. Currently the Genesis is being marketed in Korea, China, the Middle East and the United States. G90 buyers have a choice of a turbo charged six cylinder or an eight cylinder with either real wheel drive or all wheel drive. Everything else is standard. 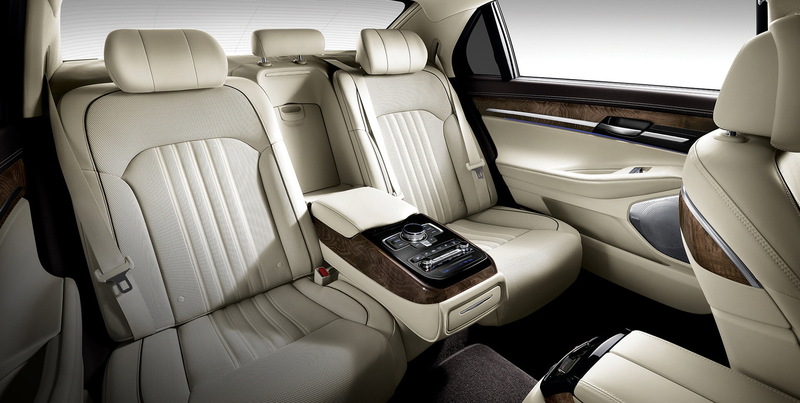 The rear seats recline heat,cool and massage you. For the first three years of ownership, all maintenance is included. 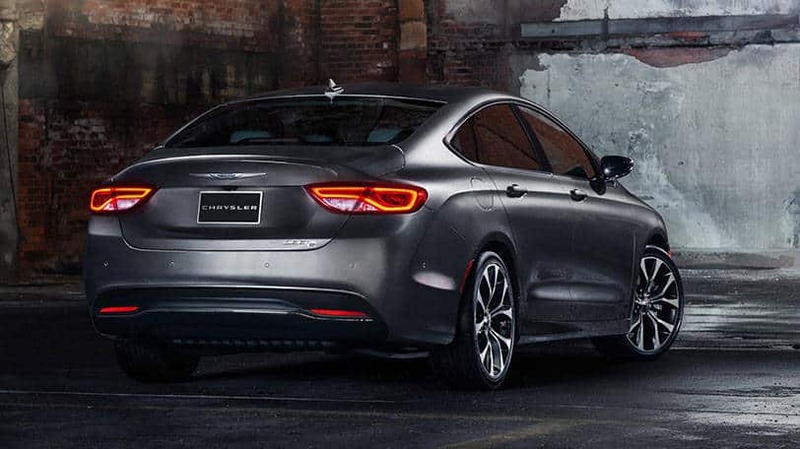 Genesis will simply pick up your car and leave you with a loaner. Roadside Assistance is included as well as monthly health reports of your vehicle. Owners can make appointments via a smartphone and the warranty is 10 years or 100,000 miles. 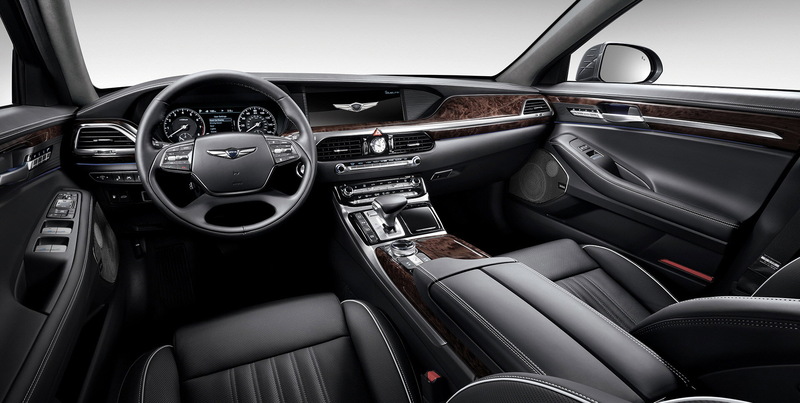 I have driven the G80 and look forward to an extensive test the G90 with its massive interior room. The G90 starts at 69K and tops off at 73K. It competes with Lexus LS 460, BMW 7 series and Mercedes S class at thousands less and a much stronger warranty. Looks and Value. Hyundai looks like they’re planning to shake up the Luxury Segment. Smart shoppers for a luxuty car should look beyond the pedigree and take the Genesis for a test drive. There was a time when you knew a Mercedes Benz was a Mercedes Benz and A BMW a BMW front to back, the vehicles were unmistakable. Today, not so unless your looking at the grill. Today, they disappear into a sea of Toyota’s, Nissan’s and Hyundai’s. Audi and Jaguar have taken a sizable bite out of Mercedes and BMW sales and could Cadillac be next? From the ATS to the DTS the look is unmistakably Cadillac. But Cadillac has stumbled of late, while the automotive press loves the cars, dealers have thousands of unsold 2014’s on the lots. Cadillac often cost the same or more than their German counterparts . Cadillac had made some bold moves to change the perception of the division. The first move was to leave Detroit. The headquarters is now in New York. 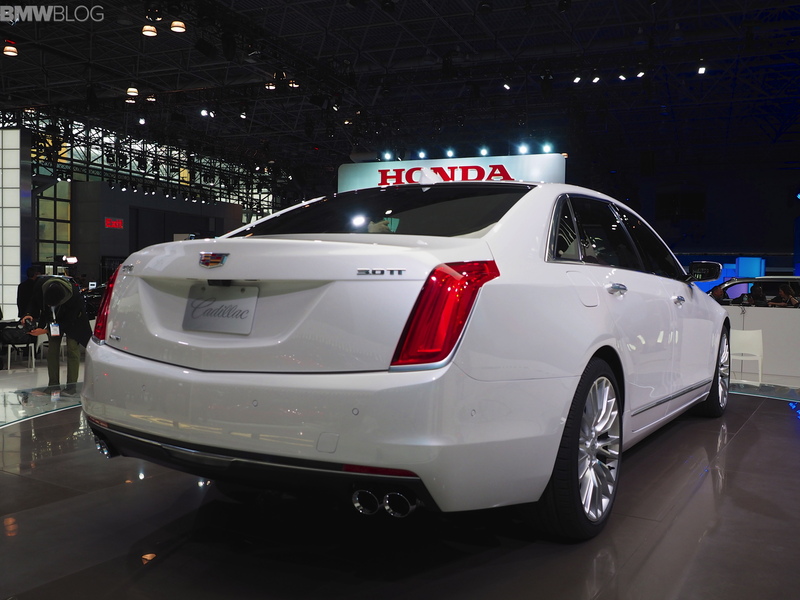 The flagship CT6 was introduced at one of the worlds most important auto shows in the city where they hope most of their cars,like the flagships of Mercedes, BMW, and other imported luxury cars are sold. Lincolns Continental was introduced in New York to tell the world Lincoln is still alive. Cadillac is making a different statement. 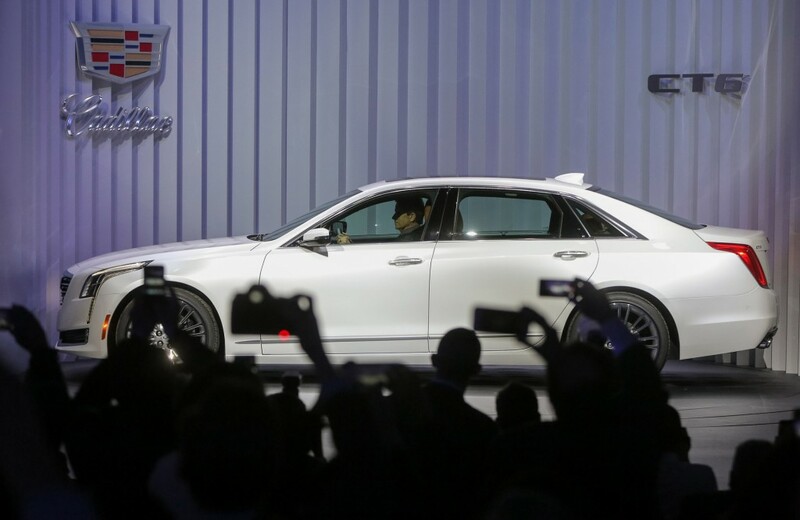 Its telling the world they are a completely different company .From all the interviews from Cadillac’s handlers at the Auto Show this car will be marketed differently.Your not likely to see this car advertised after Cheetos or Wal Mart. Mercedes-Benz, and Porsche are about to invest a combined 6 billion euros (about $7.5 billion) in new high-end electric vehicles and plug-in hybrids due out between 2018 and 2021. Their target: the American upstart from Silicon Valley. Ten years ago, when Elon Musk’s outfit was still a cottage enterprise selling electrified Lotus Elise roadsters, the und George Kachererdog from San Carlos, California, was not even on the radar of German captains of the industry. But then Tesla released the Model S electric luxury sedan, and the niche manufacturer transformed into a game changer. In addition to selling more than 33,000 cars last year, the company started to roll out a clever supercharger network, announced plans for a second plant and an R&D center in Europe, unveiled an innovative battery-swap program, previewed its first SUV (the falcon-wing Model X), and gave details of a new high-volume, low-cost product, the $35,000 Model 3, which aims directly at the likes of the BMW 3 Series. As a result, Tesla’s stock market value has soared to an incredible $30 billion. Although Tesla’s ink is still red and the sales figures are comparatively modest, the predominantly German luxury-car establishment is already feeling the squeeze in certain micromarkets such as Southern California and Norway, where the Tesla Model S attracts more affluent buyers than the S-Class, 7 Series, or A8. In their counterattack, the four German premium car manufacturers are all pursuing similar goals: electric vehicles and plug-in hybrids. Instead of pooling resources and components, however, they’re heading down individual yet almost parallel avenues. The nomenclatures of the new models are by no means final, but the concepts are being firmed up as you read this. The first design previews may be seen as early as at the 2015 Frankfurt Auto Show. Like the BMW i8 or next year’s Audi R8 e-tron, their mission is to act as halo cars, technology showcases, and image leaders for wealthy, green-minded early adopters. Yet all of them are intended to be more than niche models; global target volumes are in the tens of thousands, and projected prices range from just below that of the Tesla Model S to more than $125,000. And they pave the way for an even broader range of more affordable German plug-in vehicles. Tesla’s sales could grow by leaps and bounds once the promised follow-up cars to the Model S arrive. Both the 60-kWh and 85-kWh versions were recently updated; the latter now offers AWD. Three-row SUV with 60- or 85-kWh battery and standard AWD. Deliveries start in early 2016. 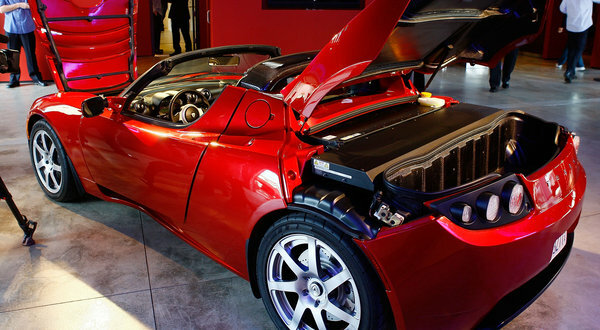 Formerly known as the Model E, the $35,000 entry-level Tesla with a 200-mile range from its 48-kWh battery pack. Due in 2017. Tesla is one reason the Germans are going electric, but not the only reason. Come 2018, at least 4.5 percent of all cars sold in California (and the states that have adopted California emissions rules) must be zero-emissions vehicles. This number is set to increase in annual steps to 22 percent by 2025. Manufacturers that fail to comply by not offering any or enough ZEV, TZEV (transitional zero emission vehicles), NEV (neighborhood electric vehicles), or BEVx (e-vehicles with range extender) must buy clean-air credits from sources such as Tesla, currently the major provider of such certificates. In an ideal world, Audi would—just like Tesla—start its electric program with a clean sheet of paper. But a new architecture is complex and expensive, which is why the brand is instead inclined to modify an existing vehicle built in an existing facility. Thus the planned Q6 e-tron, a battery-electric and plug-in hybrid crossover, is derived from the Q5. The Q6 e-tron will almost certainly be a sporty crossover coupe that looks a bit like the proposed Lamborghini Urus with a greater regard for aerodynamic efficiency. Drivetrain options pegged at 300 hp/330 lb-ft and 400 hp/480 lb-ft (with a 500-hp/553 lb-ft flagship waiting in the wings) should be enough to beat the Model S in all disciplines that really matter: power and torque, real-life driving range, and, most important to Germans, sustainable performance. The Q6 e-tron must not tire early on the autobahn or flake out after only one hot lap on the Nordschleife. Such ambitious goals will consume enormous engineering resources; the Q6 e-tron might take up to four years to materialize. In the meantime, Audi will kick off its green revolution with a bunch of plug-in hybrids based on the Q7, the A8, the next Q5, and the A6/A7 replacement. They will rely on a mix of 2.0-liter fours and 3.0-liter V-6s mated with a 122-hp electric motor. The Q7 and A8 will carry over conventional Quattro all-wheel-drive systems, in contrast to the Q6 e-tron’s purely electric system. Audi’s luxury electric crossover will likely cost between $80,000 and $100,000. Production will be somewhere in the five-digit range. A sedan that might get the i Badge. BMW’s Tesla fighter is based on the Chinese-market, longwheelbase 5 Series sedan and is due out in 2018. The plug-in hybrid four-door should contain enough electric power to justify the prestigious i suffix, particularly since the next i3 and i8 replacements are not expected to adhere quite as religiously to today’s exotic and expensive carbon-fiber/aluminum formula. That means the new sedan could also get away with being less radical and still earn an i5 or i7 badge. Whatever it’s called, the BMW is being described as a low-emissions sport sedan featuring an innovative plug-in hybrid drivetrain. The extended wheelbase not only creates more room for passengers—important for both the North American and Chinese markets—but also for the batteries, which will be arranged in pouches between the axles. Using the 5 Series architecture will help BMW keep costs down and crank the volume up. Management plans to use an existing factory and build about 30,000 units a year. The suspension, steering, brakes, and basic packaging will be adopted from the 5 Series. The drivetrain, however, will borrow from and improve upon what’s in the i8. Although technically it will be a plug-in hybrid, with a gasoline engine up front and the main electric motor in the back, it will in truth be an electric vehicle with a powerful range extender. The i5/i7 will boast two electric motors, instead of the i8’s one. Depending on the driving situation, it can be electric front-wheel drive, electric rearwheel drive, or gasoline-electric all-wheel drive. Said to be capable of a zero-emissions range of 80 miles, this BMW is designed to operate in battery mode most of the time. The combustion engine will typically only cut in above 40 mph, when road and wind noise will mask it. A concept car is tipped to appear in 2017, although the design is still in a state of flux. The strategy team, led by a former Project i manager, seems to favor a mix of current 6 Series Gran Coupe and next-generation 7 Series styling elements. The price? A bit under $100,000, close to the price of the 2015 Tesla Model S P85D. Porsche is already offering plug-in-hybrid versions of the Cayenne and the Panamera. On an even loftier plane, there is of course the 918 Spyder. The logical next step would be a Porsche EV somewhere in between those poles. But ever since the company has become part of the Volkswagen empire, such strategically significant projects need to be rubber-stamped by the group. In this highly political environment, where even insiders find it hard to sift facts from rumors, our intelligence suggests that Porsche would very much like to do its own EV, based on the new architecture under development for the next-generation Panamera and Bentley Continental. The car would be a sporty four-seat four-door in a smaller-than-Panamera package with clear 911 overtones. Ground-hugging and emphatically dynamic in appearance, the car—which might be badged 717—is definitely not an SUV or a crossover. Rather than raising the floor, Porsche would jam batteries in every open space: the center tunnel, the bulkheads, the doorsills, the footwells, and the overhangs. To adapt the Panamera/Continental architecture to the needs of an EV is no mean feat. While the fl at-bottom Tesla features a long and wide battery pack that also functions as a floorpan and a structural reinforcement, the lower H-point and the sports-car stance postulated by Porsche would call for a so-called topologic battery installation. That’s a fancy way of saying that rather than raising the floor, Porsche would jam batteries in every open space: the center tunnel, the bulkheads, the doorsills, the footwells, and the overhangs. In total, a reported 108 battery pouches need to be packed into the body. It is hard to judge whether Porsche’s provisional launch date of early 2019 is realistic or wishful thinking. The same applies to projected technical details, which, according to one insider, include three different e-power stages rated at 400, 500, and 600 hp. The average driving-range target is in excess of 300 miles. As a rule, there is one electric motor per axle. Together with the U.S. specialist supplier QuantumScape, Porsche (and VW/Audi) is developing a new induction charging process designed to match Tesla in speed and beat it in convenience. All versions of the 717 would feature all-wheel drive, all-wheel torque vectoring, and fourwheel steering. Because of the genetic link to the relatively conventional Panamera componentry, weight is bound to be an issue for the electric Porsche. At the same time, the Panamera connection may be essential to build more than 10,000 units a year at a profit. A critical question is whether Porsche will be allowed to do its own thing. And would it not make more sense for Porsche to attack the Elon Musk enterprise with an electric sports car conceived to outshine the discontinued Tesla roadster? While Porsche’s head honcho acknowledged earlier this year that a sporty zeroemissions model would work well for the brand, the chief vehicle line engineer recently ruled out an electric 911, which raises the specter of a Boxster/Cayman EV. Alternatively, Porsche might be coaxed to join Audi in a crossover EV since creating a sportier Q6 e-tron derivative with a Macan badge would be relatively simple. But as far as the halo eff ect and brand image are concerned, the marque’s own 717 proposal is hard to beat. Four models in two size classes. Of the four Germans, Mercedes-Benz is plotting the most ambitious EV assault. It calls for an investment of more than $2 billion in a family of all-new, purpose-built vehicles, which make provisions for rear-wheel drive, all-wheel drive, and rear-wheel steering. The program, known internally as Ecoluxe, is tipped to produce four different product offerings. Two are crossovers, which should do well in most major markets and generate strong profit margins. The clear goal issued by the M-B product planners is to eclipse both the Tesla Model S and the Model X crossover. Due to the substantial battery pack, the seating position has to be raised by nearly 3 inches compared with a typical SUV. The ground clearance, on the other hand, is not much different from an S-Class. For a sporty look, design intends to keep the roofline low, set the wheelbase of the smaller variant at 106 inches, and opt for large-diameter wheels shod with relatively wide tires—a Mercedes-Benz take on the Range Rover Evoque, if you will. The two larger cars would ride on a 118-inch wheelbase and seat up to seven adults. Like the BMW i3 and i8, the Ecoluxe cars would use a chassis and suspension made predominantly of aluminum. The body, on the other hand, will be composed of a variety of materials including different gauge steels, aluminum, magnesium, carbon fiber, and composites. That should off set the weight of the 850-pound battery pack. The first model due to hit showrooms is a large, long-wheelbase crossover offered with five or seven seats. Known internally as Sport Utility Coupe, this GL-size vehicle will cost about $125,000 when fitted with the highest-performance powertrain. One year later, Mercedes is expected to unleash the first of two so-called sport-utility sedans, basically a stretched E-Class with the availability of three rows of seats. In both cases, the third row would be a rearfacing pop-up bench that can be accessed through extra-wide doors. Both top-of-theline models will stretch longer than 16 feet and would feature front and rear luggage compartments. A pair of smaller and less expensive five-seat models—a conventional three-box sedan and a crossover—would complete the electric-vehicle portfolio. Although the launch cadence (like everything else about the project) is not yet cast in stone, the timing spans 2019 to 2021. Since these vehicles would share few parts with existing Mercedes models, they’d likely require a new factory located in Europe or North America. Like Tesla, Mercedes will off er several options for power and battery range. Initially, we should see a version rated at 545 hp and a range topper delivering more than 610 hp. The driving range would be between 280 miles and 350 miles, depending on model and powertrain. All Ecoluxe vehicles will ride on electronically controlled, adaptive dampers and will have adjustable ride height. A host of driver assistance systems will also be part of the package. When in full swing, the Mercedes electric invasion will be able to pump out 80,000 vehicles a year. Better still, the modular architecture makes it very easy to generate plug-in hybrid spinoff s; a split floor would house the fuel tank next to the battery elements. These models would off er a 60-mile zero-emissions range together with as much gasoline-powered grunt as marketing asks for. More for the Germans to worry about. Tearing forward in Tesla’s all-new, twin-motor, all-wheel-drive Model S P85D, the blood is pooling up in the back of our brain. And we’re reminded why Audi, BMW, Porsche, and Mercedes-Benz are dumping time, money, and resources into an all-out, electric-vehicle onslaught. This D-type version of the Tesla Model S sedan doubles down on technology, with double the motors and double the driving wheels. Dual-motor all-wheel drive is available only on the Model S with the 85-kWh battery pack. The P85D’s rear motor is rated at 470 hp and 443 lb-ft of torque, and its front motor puts out 221 hpand 224 lb-ft of torque. The result is an all-wheel-drive sedan with 691 hp and 687 lb-ft of torque. It will go from zero to 60 mph in 3.2 seconds and through the quarter mile in 11.8 seconds, and Tesla engineers tell us that motor torque can be apportioned not only front to rear but also side to side. As a result, drivers have greater confidence to toss the Tesla Model S P85D into quick corners. While financial analysts fret about Tesla’s balance sheet and the delay of the Model X launch, remember that Tesla built some 33,000 electric cars last year. It’s not just tightening emissions regulations, and it’s not just voyaging into a new automotive frontier—it’s that Tesla, that scrawny start-up from Silicon Valley, now has a surprising and exotic luxury sedan with a forward-thinking powertrain that scares Germany’s best sport sedans.